Summer travel is underway now that July is here. Where are you going this summer? Are you traveling with your family or are you traveling alone? No matter how, where or when you go please make sure that you keep safe. 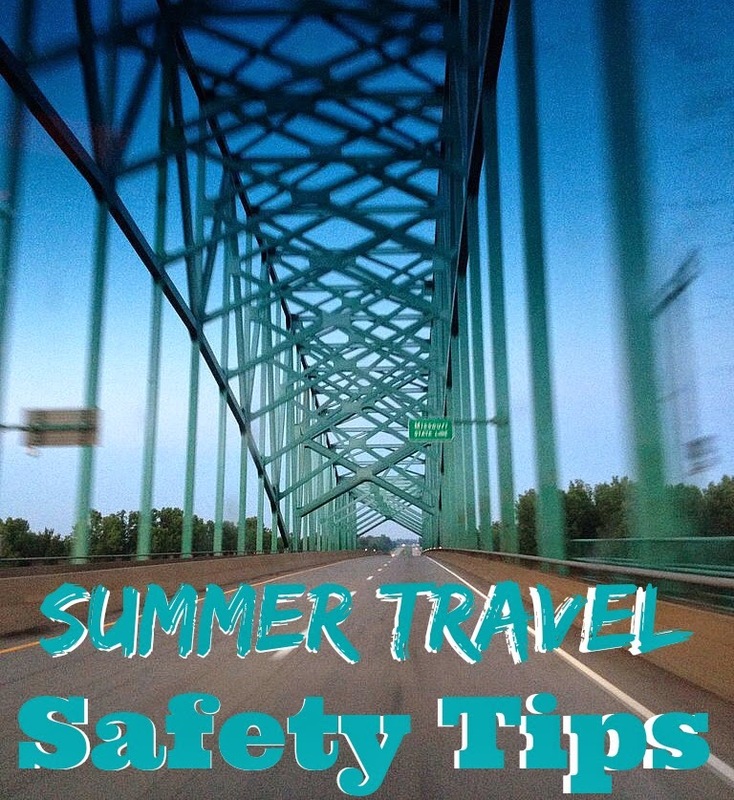 Here are some summer travel safety tips to give you a general idea of what you need to be aware of when traveling. What tips do you have to share? Feel free to leave them in the comments below. 1. Plan Ahead. Let your friends and family know who you are traveling with, where you are staying and when you are expected home. Ask a neighbor you trust to keep an eye on your home while you are away. 2. Do Your Research. Knowing what to expect in terms of the quality of the local water, recommended immunizations, extreme weather conditions, and local laws and customs will help you avoid sickness or injury and prevent altercations with locals. 3. Beware of Petty Crime. Keep your purse, wallet and other valuables out of sight and be especially vigilant in crowded and touristy areas. Don’t keep your money all in one place. 4. Practice Car Safety. Always keep your car doors locked, whether driving, at a stop light, or when parked, even for just a short absence. Stick to well-lit, busy streets. Driving a few extra minutes to avoid an unsafe area is a smart use of your time. 6. Purchase Smart Travel Technology. Make sure that your phone is updated and your GPS tracking is on. If you ever feel threatened or need help right away, call 911 and your phone will help give your exact GPS location. Get apps for places you will visit. If you are staying at a hotel with a separate room for your infant or want to keep a close eye on him/her while relaxing on the balcony, consider a portable wireless camera which allows you to watch over your kids, even in a totally dark room. To protect your digital life while on the road, there are a variety of Web-based services that allow users to store and retrieve documents, pictures, or videos and, if needed, access them from an Internet-connected device while you're traveling. Get your own Hot Spot for traveling.